Apple has been granted not one new patent, but 54 of them by the U.S. Patent and Trademark Office, with one of those patents in particular possibly paving the way for flexible screen technology to make its way into a future iPhone or iPad. 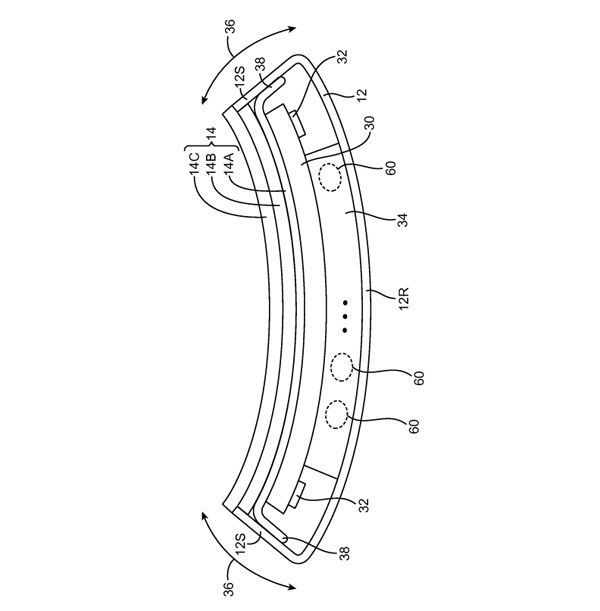 The patent, titled Flexible Electronic Devices, makes provisions for new devices that not only include flexible screens, but also flexible internal components that would allow a new device to move and bend in ways that are currently impossible. Within the patent is talk of a flexible OLED screen, and while Apple doesn’t yet use any sort of OLED displays in its iPhones or iPads, there has long been talk that such a screen could be on its way in an upcoming release for the company, with the iPhone-maker in talks with Samsung and LG for an OLED display deal set for 2018. 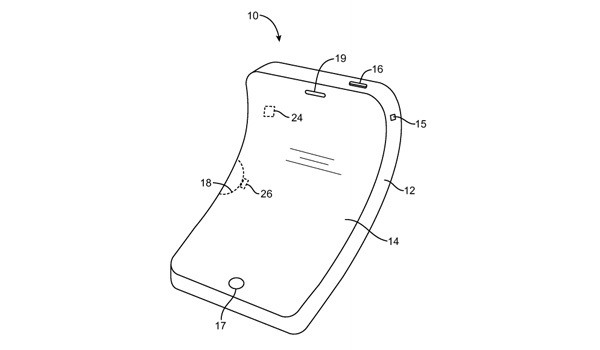 Beyond simply allowing for the device to be bent, the patent also mentions sensing technology that could recognize when a user is bending their Apple hardware and then have it react accordingly. This could mean, for example, users twisting or bending their iPhone in order to change its operating mode or enable gaming controls within the software. Apple’s patent for this new technology goes on to say that it could be implemented in the iPhone, iPad, Apple Watch or indeed any other wearable device that it may want to make in the future. Could it even make an appearance in a car, perhaps? Flexible screens have been a target for technology makers for some time, and while the displays do exist, putting them into things like flagship smartphones hasn’t come to fruition just yet. At this point, it is always worth reiterating that Apple has hundreds of patents that have yet to yield any hardware or software releases. Apple very much likes to patent anything and everything even if it has no intention of using it because you just never do know when it might come in handy. A flexible iPhone, though? We’re pretty sure that would come in very handy indeed. Ok, where is that Gina person who gets all excited about the whole “ibend” conspiracy??? This should get he/she going, LOL! !